DPAA, the global organization for digital out-of-home, announced today that Accretive Media, a programmatic digital out-of-home (DOOH) advertising platform, has joined the association. 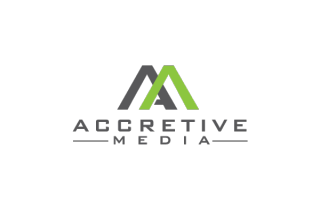 Based in Los Angeles, Accretive launched in February and reaches targeted consumers on digital screens at nearly 100K venues across the United States including ATMs, airports, restaurants, gyms, train and subway stations, malls, office buildings, universities and more. Accretive leverages the data-driven capabilities of online and mobile advertising to target specific audiences and make DOOH ads more relevant, empowering brands to become part of consumers' everyday lives. The company's proprietary Accretive Data Lake (ADL) is one of the most advanced consumer data platforms in the ad-tech space, and first-of-its-kind in DOOH. ADL combines location and geotemporal information with people-based profiles and deterministic attributes to create a comprehensive view of a consumer's digital and physical footprint. This patent-pending process allows for unprecedented targeting and measurement in DOOH, delivering brands new and unique ways to connect with engaged consumers in the physical world. Barry Frey, President & CEO of DPAA, said, "The digital out-of-home world is becoming very sophisticated in delivering targeted audiences to advertisers. The abilities to define cohorts and target them successfully on our screens, plus provide attribution, is delivering ad capabilities heretofore only available in desktop and mobile environments. After seeing the innovation that Accretive Media is bringing to the DOOH space, we are thrilled to have them join DPAA." DPAA is a global, digital out-of-home marketing association that has created a strong community environment in which members drive and promote their digital capabilities. DPAA functions as a business accelerator and concierge/consultant for members. Membership in the DPAA community brings many benefits, including admission to quarterly "mini summit" meetings with ad industry and DOOH leaders; access to curated VIP tours and meetings at CES and Cannes Lions; an extensive database of research, best practices and case studies; tools for planning, training and forecasting; social media amplification; publication discounts; an opportunity to participate in media partnerships; insights on software and hardware solutions; and further integration into the advertising ecosystem as part of the video everywhere conversation and marketing campaign.